Here at Aford Awards, we provide a wide selection of first-class affordable golf medals, that are perfect for any golfing occasion. So, if you are awarding the winner of a golf competition or celebrating the achievement of a team we have the medal for you. What’s more, all our medals come complete with free engraving! Recent figures show 1.13 million adults in England play golf on a monthly basis in the UK alone, so whether you are looking to purchase awards for a future corporate golf day, a school sports day or you’re looking for individual golf trophies for a competition we believe you’ll be able to find something at Aford Awards to suit all ages, skills and budget. 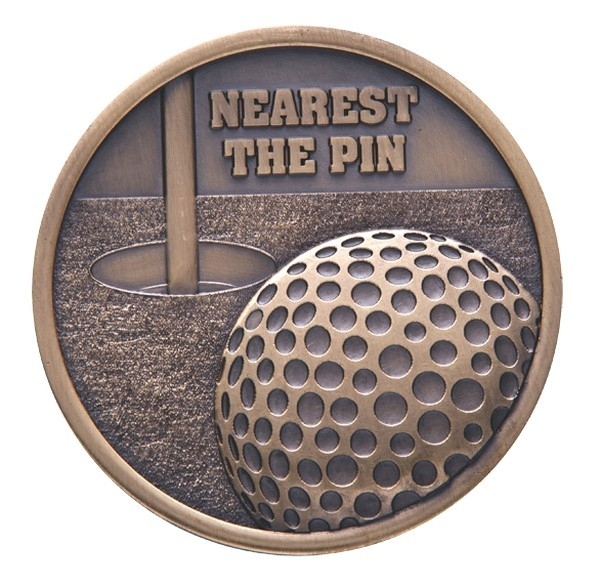 We aim to supply high-quality golf medals that are unique and affordable for you. Should you find a better deal anywhere else we endeavor to beat it by 5% - That’s our price promise guarantee to you! We also offer a discount on bulk orders - perfect if you have a number of golfers taking part in a tournament. Feel free to contact us for more information. Our free engraving service allows you to include the option to add your own logo and text for free on all our golf trophies, medals, and cups. Our special-engraving machine will carefully engrave your choice of words onto your piece of memorabilia - so you can be as creative as you like! Our engraving and personalisation service also allows you to have other trophies or medals you have bought elsewhere engraved too. Call us today to find out more about our Golf medals! If you have any queries about our golfing medals or our engraving service, then please email us and our experienced and professional team will get back to you as soon as possible. If you can't find what you are looking for, explore our golf trophies or alternatively head to out our medals page to see the whole range of sporting medals we offer. Check out our bespoke medal page for more information on how you can design and create a one-of-a-kind medal.